Would you like to read an overview of rare bird sightings this fall in British Columbia? Are you intrigued to know how nest parasitism by cuckoos means more success for parasitized than un-parasitized nests for certain species? Are sparrows really the Rodney Dangerfields of birds? Are you looking for more details of the May 29th to 31st, 2015 BCFO Annual General Meeting to be held in Oliver? And really, what is the story behind that Bald Eagle above feasting on a large rainbow trout? 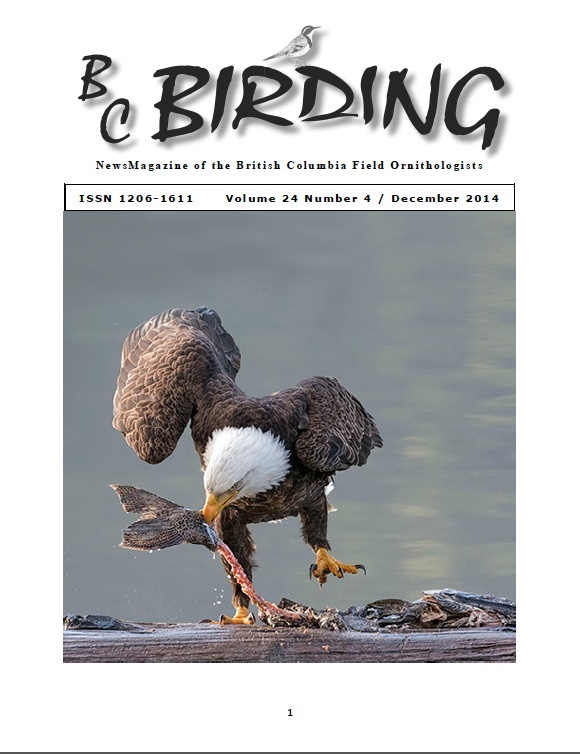 Answers to all the above questions and more can be found in the latest edition of our newsmagazine BC Birding, now available for download or reading on-line in the members area above.